I’ve been listening to Mad Dogs for three days straight, and I’m still giddy and disorganized in my thinking about it. My mind gets pulled into ruts when I try to find some clear expression of the music it contains. Sometimes I feel as though clichés are the only way we can get everyone sufficiently close to a piece of music. 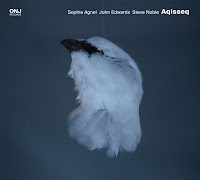 At least, they’re what we struggle to stop returning to when we brush up against the limitations of language, especially when faced with music that really connects. I’ll only let one really easy one go for you: embarrassment of riches. Five discs and over four and half hours of music captured at the 5th Krakow Jazz Autumn Festival in 2010. Calling this the Barry Guy New Orchestra is sort of misleading, but forgivably so. “Small Formations” is offered as a qualifier, and the smallest formations on display are as small as they get: solo sets by Agustí Fernández and Mats Gustafsson. 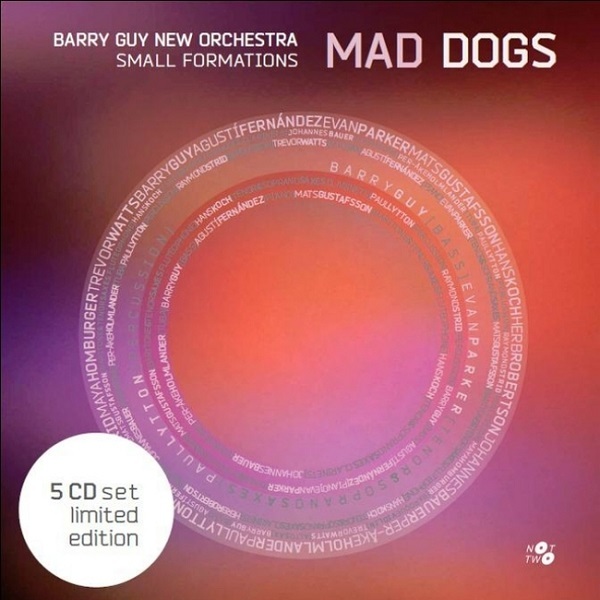 It may just be that the New Orchestra name is the easiest rubric to jam the musicians of Mad Dogs into, though they all certainly interface in a world much more expansive than that. You see, there’s a great thing that happens when the New Orchestra is broken down into small subsets: you get all kinds of other high-profile, well-received groups like the Parker/Guy/Lytton trio, the Tarfala trio, the Gustafsson/ Fernández duo, Fernández /Guy duo, and on and on (see full list of line-ups below). 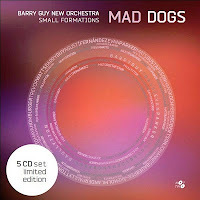 What makes Mad Dogs such a resounding success is that any of the five discs could easily have stood as a solid album on its own: the restless clatter of Parker/Guy/Lytton, who claim the entirety of the second disc; the absolutely balls-to-the-wall fourth disc, which features a surprisingly emotional set by the Tarfala trio, followed by a reprise of Parker/Guy/Lytton, this time with Fernández added; or the wide-ranging third disc, which features Hans Koch and Per-Åke Holmlander with a subtle dual percussion backup, a beautiful duo with Maya Homburger and Lytton, and the truly critical mass of Fernández and Gustafsson, who build to an almost unbearable crescendo. This is not the world of microsound or the quiet smears of instruments and electronics that mark more recent branches of improvisation. This is the physical, acoustic collision of virtuosity and musical ingenuity, the raw synergy of musicians recognized as masters of the form. There’s an urgency spanning across these discs, as though Mad Dogs is making a case for the very legitimacy of free improvisation itself. Intentionally or not, the set is presented in an expanding fashion, building in both size and intensity, launching with the dull, muted thuds of Fernández’s solo piano set and culminating in a cathartic orchestral blowout with an octet whose bombastic density would make Varèse blush. In between, all manner of duos, trios, and quartets make their showings. 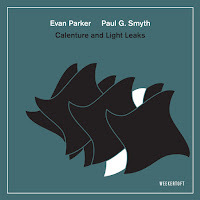 Especially interesting is the opportunity to contrast the three different sax trios present throughout (Parker/Guy/Lytton is a whole different beast than Gustafsson/Guy/Strid). In László Krasznahorkai’s The Melancholy of Resistance, the defeated musicologist Mr. Eszter, distraught at the fraud of equal temperament (which fakes the elegance of pure tuning), decries that the “world […] was too full of the noises of banging, screeching and crowing, noises that were simply the discordant and refracted sounds of struggle, and that this was all there was to the world if we but realized it.” It may well be that the world can be heard in bangs and screeches and crows; however, not all are the product of struggle. Some arise from the joys of cooperation, exploration, innovation, even downright Dionysian celebration and excess. These are the bangs and screeches of Mad Dogs, and they are a rallying cry for a world (or at least music) we can be proud of. 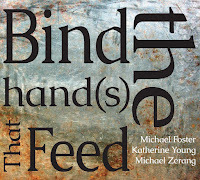 A very good review – an embarrassment of riches, indeed. 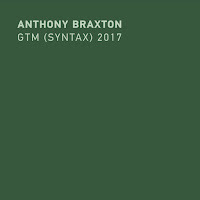 This and “Long Story Short” must be the highlights of the year so far, and very impressive records of the state of free jazz for our times. Day 5 – with the whole New Orchestra – has been omitted from the “Mad Dogs” set, but appears to have included an improvised work, and an ensemble arrangement of a work written by Barry Guy for himself and Maya Homburger, “Amphi”. Perhaps we can expect a release of this on Barry’s Maya label? And the packaging’s clever: 5 CDs in an LP sleeve! Now I await the release of the full Orchestra hopefully also on Not Two records. Has anyone heard if this will happen/ This is recorded in the best sound quality of anything I own. this is analymous again - actually Steve Reynolds but who knows how to sign in. What is disconcerting is that this incredible box set (IMO quite a bit better than the similar themed Long Story Short - but that might be a matter of taste - this strand of improvisation is based largely on the first generation British improvisors - which is a much more detailed and thorny branch of improvisational music) has not been discussed and listening to as widely as one would hope. The gulf between this and many other recent releases as far as sound quality and performance is quite. It seems that some deem these guys as "Old Hat" or still simply look at it as music whose code is impossible to break. Steve, if you enjoy well recorded box sets of great music, you might want to give Ken Vandermark’s Resonance Ensemble a try. It was also recorded at the Alchemia, and is on Not Two records (10 CDs). You can read a review here. 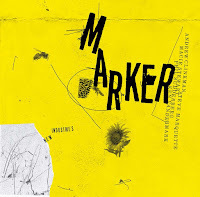 I have been listening to DKV's 7 CD box and it is also very fine. thanks, I just checked out the track listings and instrumentation on the Resonance box and it will be on my next order of Not Two releases along with the most recent Rodrigo Amado Trio plus Jeb Bishop, the new quartet recording with Steve Beresford and John Edwards being joined by the alto player and drummer that I never heard of, plus probably Party Enders with Herb Robertson and possibly the newest Satako Fujii quartet recording.